While we have had beers sent our way for NeuFutur nearly a decade now, actually visiting breweries is a fairly new frontier for us. 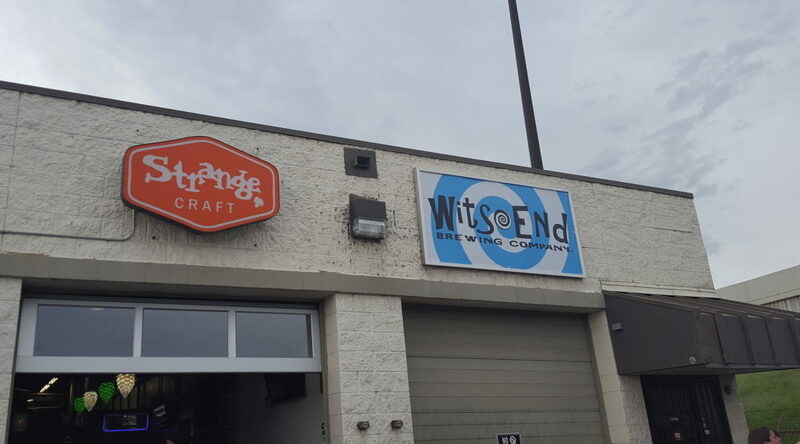 Luckily, we were able to join up with Emily from RadCraft to see what was going on at Strange Craft Brewery. Head brewer Tyler Bies has crafted a considerably wide collection of efforts available both year-round and seasonally in the Denver area. The brewery itself has a very close and cozy vibe, while fostering a sense of community that seemed not quite unlike an episode of Cheers. The brewery is involved in giving back to the community with a portion of one tap’s revenues going to a charity (IPAphany was the lucky effort to be the nonprofit tap when we went). The Simply Simcoe (4.8%) is a “sessionable” beer, a Pale Ale that will quench one’s thirst as they look deeper into the menu at Strange Craft. The Hop Candy (9.2%) is the diametrically opposed brew to the Simply Simcoe. Big, hoppy, and with a bit of a whisky zing imparted upon it due to its time in Stranahan’s Whiskey barrels, this double IPA is perfectly poised to set a night off right. The Cherry Kriek (5.0%) utilized a mild blonde ale base to ensure that the Montmorency cherries (used in pies) are able to shine. There is a more nuanced flavor to this brew when compared to some other krieks, which tend to feel a bit artificial. Strange Craft’s IPAphany (7.0%) is a perfect middle ground for those that wish to get something a bit more heady than a traditional India Pale Ale but not quite as assertive as a double / imperial IPA. For those looking for a meal in a bottle, the Dr. Strangelove Barleywine (12%) ramps both hops and malts up to 11. For those that like socking away brews in their cellar, the company has a ready-made vertical for you. Look just beyond the bar for a collection of vintage Dr. Strangelove bottles (2014-2016 variants were available when we visited). We dug Strange Craft’s Breakfast, an India Pale Ale that draws from the citrus and bitterness of Citra & Amarillo hops. To add a bit of juice to the mix (and to further bolster the tartness of the ale), the brewery has added no small amount of grapefruits to the mix. 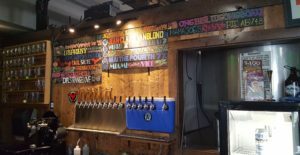 Strange Craft Brewery is open from 3 to 8 PM Mondays through Thursdays, noon until 9 PM on Fridays and Saturdays, and 1 to 6 PM on Sundays. The brewery offers a discounted cost for growler fills on Tuesdays and a variety of additional events through the week. Strange Craft is open to children and offers their own Root Beer which has been brewed in-house. 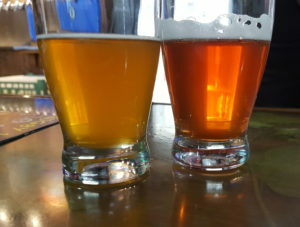 The brewery shares a space with Wit’s End, which focuses on a bit more traditional of beer styles (Belgian blonds, dunkles bock, and a maibock). In short: Denver brewery is inviting as all get out. Offers a wide selection of beer for novices and old hands alike. Crowlers and growler fills are available Children welcome.